As of September 1, the Making Ontario’s Roads Safer Act has come into effect, with police in Ontario enforcing harsher fines for traffic infractions – a part of the new legislation the province approved back in June. 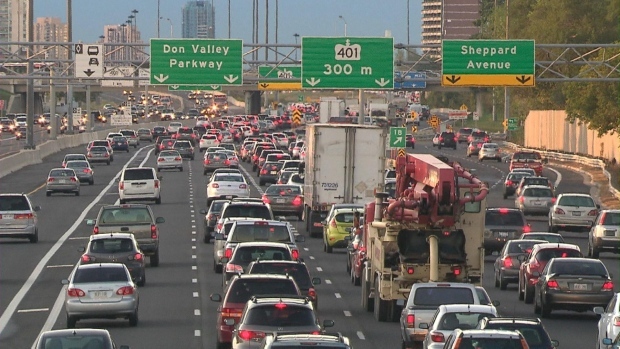 As if driving in Toronto couldn’t be more hectic – it is wise to thoroughly understand these new laws that impact all drivers across Ontario. You stand to face larger fines and more demerit points if Police catch you looking at your phone, texting or talking while driving. If you’re caught texting and driving, you’ll likely get a $490 fine plus three demerit points. Drivers will have to give cyclists at least one metre of room wherever possible. If you don’t leave a one-metre space when passing a cyclist, you can face a $110 fine plus two demerit points. Motorists who open the door of their vehicle into the path of a cyclist without checking will face increased set fines of $365 and three demerit points upon conviction. Alternatively, if you don’t have proper lights on your bike, you might get dinged with a $110 ticket. As for Sept. 1, drivers will be require to slow down and move into the next lane whenever they see a stopped emergency vehicle with its red and blue lights flashing. This also applies to any stopped tow trucks that have their amber lights flashing. If you don’t slow down and move over when you see one assisting a driver – you can receive a hefty fine as well as demerit points. The fine for breaking these rules will be $490 and three demerit points. It is imperative to be well aware of these changes to your driving this fall. If you were in an accident and not at fault – you may be able to seek damages from the insurance company of the individuals responsible. Our experienced lawyers at Graves and Richard can be your advocate in seeking appropriate compensation and benefits for any injuries that may have occurred.